About Unison Tek - UNISON TEK CO., LTD.
Unison Tek Co., Ltd. is an ISO 9001:2015 certified OEM precision milled parts ,turned parts & assembly manufacturer in Taiwan with more than 27 years of experience. We launched the factory in 1989, from then on, specializing in turned parts, millded parts, and others related precision machined parts. Our machine shop specialize in tight tolerance CNC Lathe Parts ,Milling Parts & Assembly. 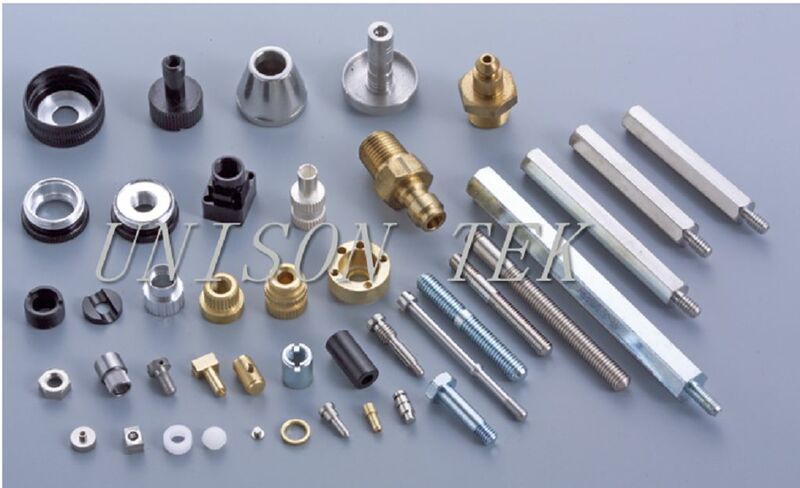 People in Unison Tek company are experts in making custom machined parts of the highest quality that fulfill your every demand. Everyone is dedicated to supplying you with reliable process control solutions at an affordable price. This is accomplished by providing quality products, assembled by highly competent technicians. 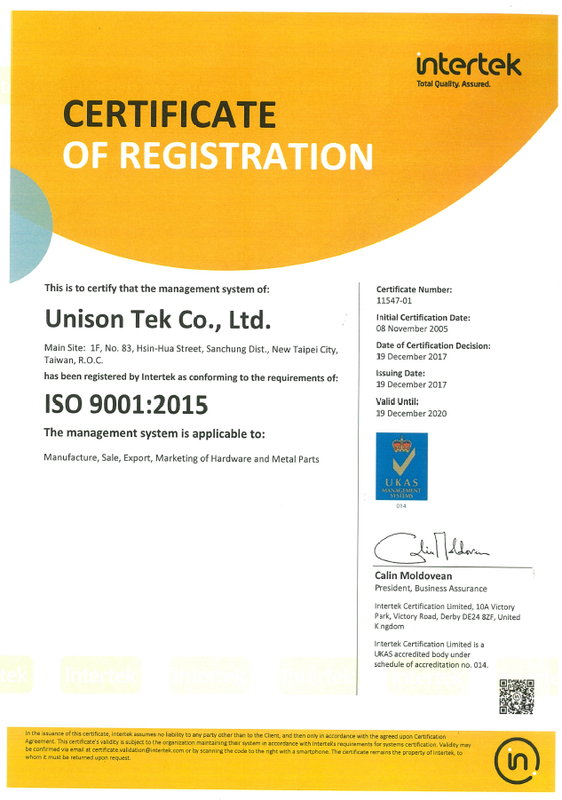 Unison Tek makes use of SPC Controlled Quality System, F/A inspection, Process Control Plan (PCP) and PPAP. Every production line has Full Traceability, IPQC, and FQC before shipment. 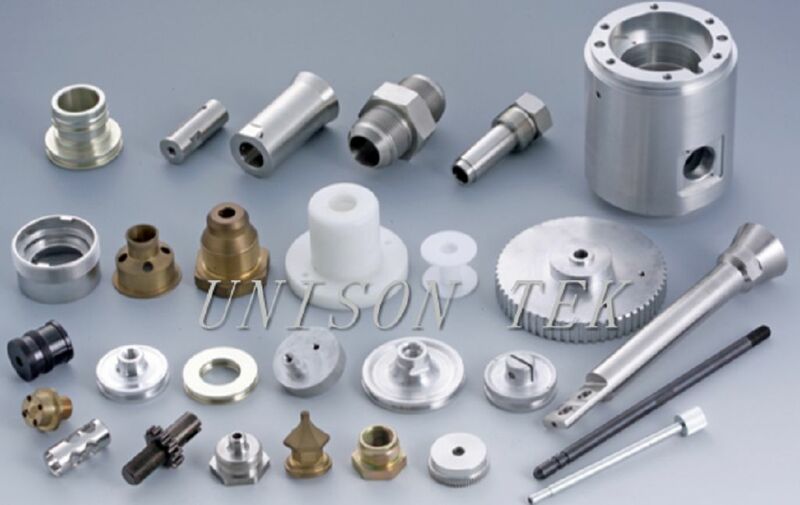 Unison Tek makes use of superior Japanese CNC Turning & Milling Equipment to manufacture, and perform inspections with CMM, profile projectors, height gages, roughness testers, thread gauges and other precision measuring instruments. We also provide material certificates, Cert. of Conformance and RoHS compliance certificates upon request and ISO 9001:2015 certificate. 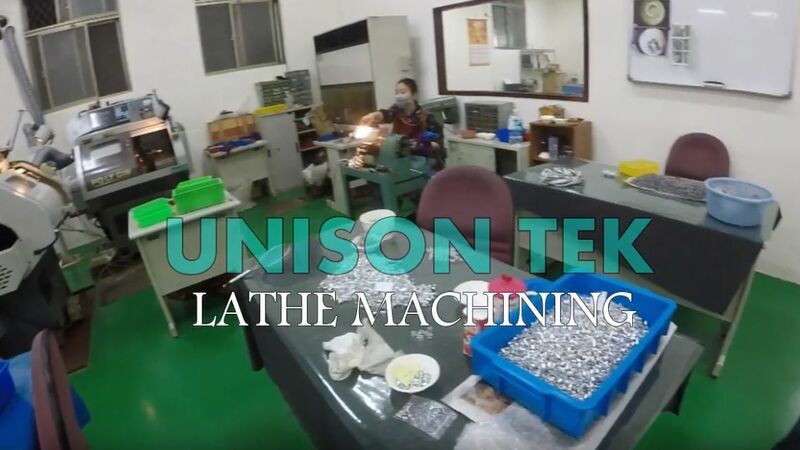 Unison Tek will make your job of sourcing easier than ever: prototyping, assembling, engineering consultation, shipping discount, short lead time, after-sales support, and a lot, lot more!! (visit our Service). As a client-oriented service, we always keep an eye out for methods to maximize your profit and minimize your costs, as our customers can attest to. 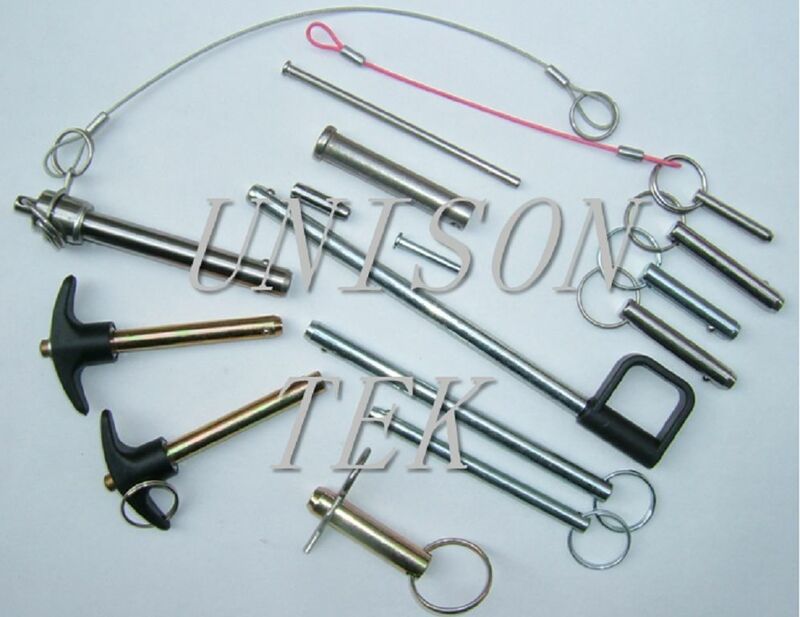 Flexible and short delivery lead time is available for small lot production. Cooperating with FedEx, DHL & many other local and international forwarders, we have the most excellent discounts there is, because we have large cargo volume of shippment, even sometimes truck arrive at our factory twice a day !! That's the know-how, and the experience to save your precious money and time, and get your orders shipped promptly, wherever you may be. Welcome to contact us for Freight Cost Calculation. We have a strong team of manufacturing process analysts, including 15 engineers rich in the experience of precision turning, milling and assembly, who work their hardest to streamline production process for you with maximum efficiency. Like a project we completed before, one of our American customers ordered parts made by turning and milling process locally. During analysis, we adjusted the method to lost wax casting (investment casting) then final milled to drawing's dimensions, and therefore reduce a great deal of the cost of this unit owing to less material used and less machining time. The other successful case is for one component containing four holes. Originally it would require the drill four times in order to get four holes, but we developed an useful tooling to punch one time and get four holes as required, not only get less working time, but also improve the quality as less burr on the holes. Just contact us for any technology advices. Come visit our facility and see our quality for yourself! Save more and benefit more, by working with UNISON TEK today. 2019 Copyright of UNISON TEK CO., LTD. © All Rights Reserved..